Max and Kat are back! That’s right, Operation Jeremiah’s Jar, the third Thrill of the Hunt thriller featuring black-ops veteran Max Braxton and archaeologist Kat Cardova, will be put on the presses this month. But now it’s time to take on Middle East jihadists and European political twits and who better than Max and Kat to do so? Here’s the scenario: The United Nations has long led a diplomatic jihad against Israel, even declaring Jews have no historic claim on Jerusalem. But 2,600-year-old proof of Jewish ownership exists. Kat’s goal—find the prophet Jeremiah’s property deed to land outside Jerusalem, which would fulfill a prophetic promise to Jeremiah and the nation today. Meanwhile, when the President decides to move the American embassy to Jerusalem, Arab jihadists explode in fury, targeting the heart of the Jewish nation. Max is called in to guard the ambassador, but his first duty is to protect Kat at all costs. Wait for it. October 15 is just around the corner when Operation Jeremiah’s Jar will be available at Amazon.com, barnesandnoble.com and elklakepublishinginc.com as well as on Kindle and from yours truly. “Leslie has crafted a chilling novel… In [his] gripping narrative, political intrigue drips from every page. 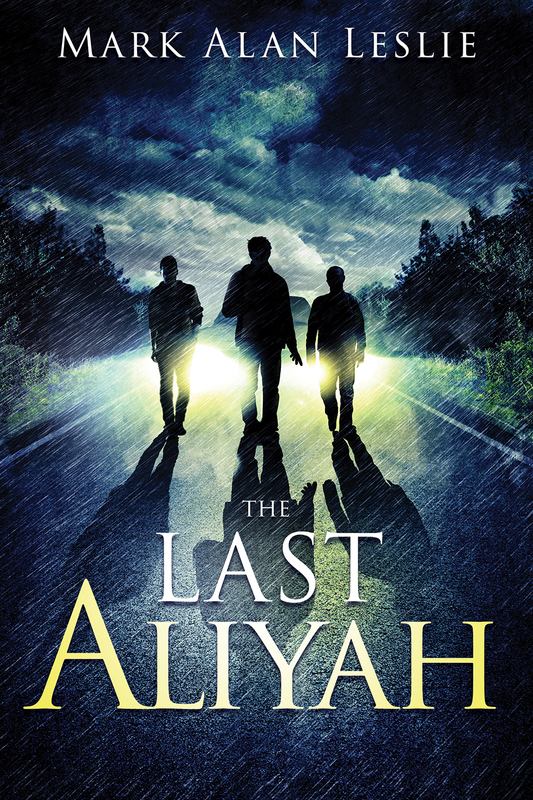 “In a world fractured by social clashes and religious unrest, The Last Aliyah is a bit unsettling. It will alert readers to realize how fiction could conceivably turn into fact.